COCHIN, KERALA, INDIA – Neighborhood stalls provide people access to fresh produce. Moms bring their best helpers with them on their daily visits. Who else would they trust to carry their bounty? 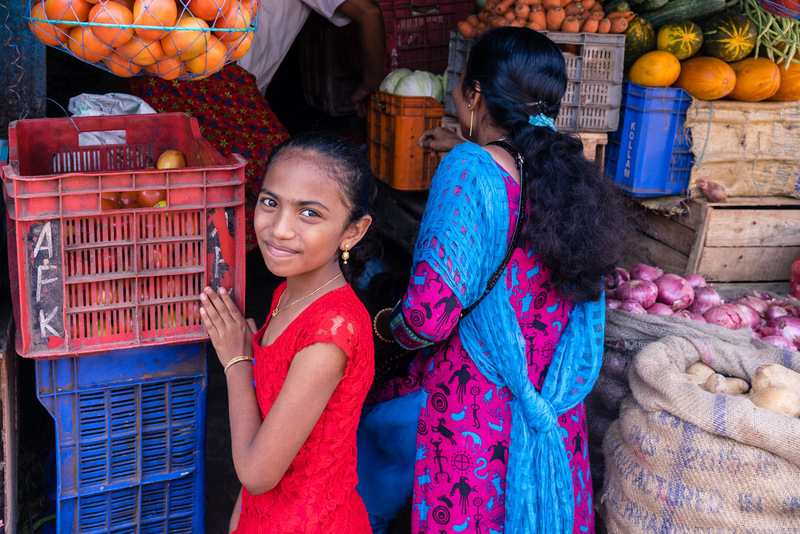 Posted in Cochin, India, KeralaTagged Cochin, Fruit, Girl, India, Kerala, Market, Photography, Portrait, Stall, Street Photography, TravelBookmark the permalink. Women are the hardest workers!